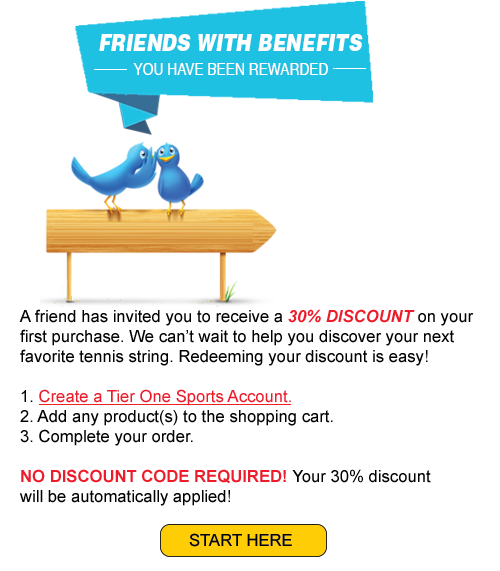 For every friend ​you refer to become a customer at Tier One Sports, we'll reward you with a $10 credit. In addition, your friend receives a 30% discount on their first order. ​​How to participate? It's as easy as copy/pasting a URL! Just ​share a personal link with your tennis friends/tennis community and tell​ ​them about ​the 30% discount . We'll let you know as soon as you earned a $10 credit. Tired of waiting to receive the next discount code in your inbox? Receive endless discounts on your orders by just referring your tennis friends to ​us! If you have already registered an account with us and have made a purchase from our website in the past you qualify for the program. Login to your Tier One Sports account. 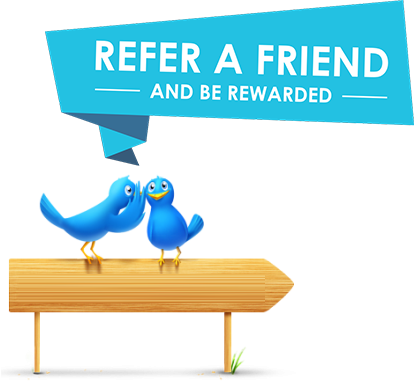 ​In the account dashboard ​click on the link called "Referral Program"
​You will see your personal referral URL. Share the link with your friends by email, text, social media, blogs, tennis forums, etc.....! ​Every time someone uses the link​ to make a purchase you will receive $10 off towards your next purchase. If you refer 5 people you'll get $50 off, etc. (or a maximum of 40% per order - ​outstanding credit will be rolled over to your next order)! ​​Get stuck anywhere along the way? Just drop us an email at​ info@tieronesports.com​. We are here to help!